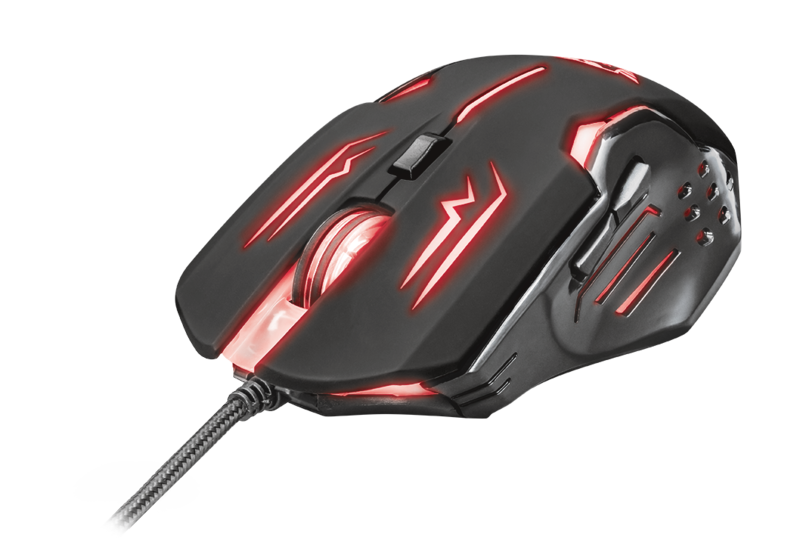 From sniping in a shooter to commanding a whole army; with the GXT 108 Rava illuminated gaming mouse, you will rave through gaming maps like a machine. This mouse lets you handle any situation. The optical sensor of the GXT 108 provides you with more than enough precision for sharp in-game shooting. Choose from the 4 different DPI levels to fit this mouse to your preferences. 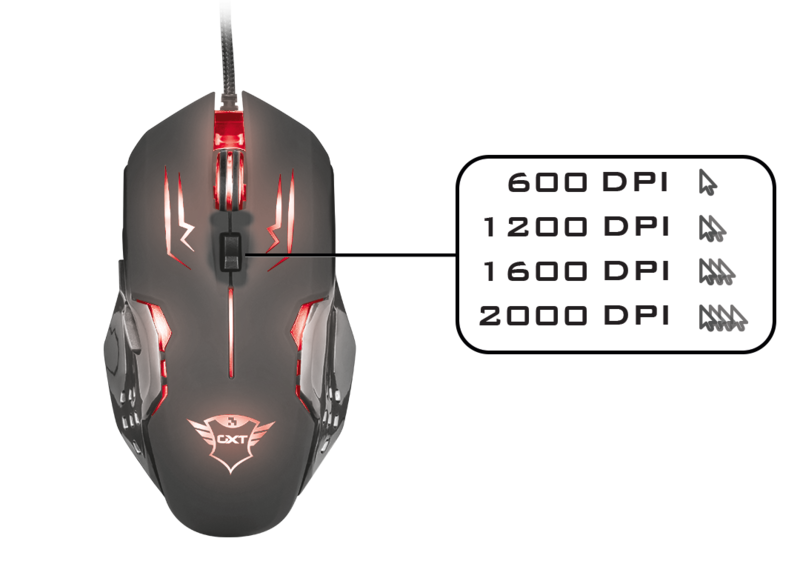 With the DPI button, you can switch between 600, 1200, 1600 and 2000 DPI. Use a lower DPI setting for more precise sniper shots and a high DPI for fast reflexes and some quick exploring of your surroundings. Every player has their own weapon of choice. With the futuristic design of this mouse, you will impress your opponents in the gaming arena. The 7 colour illumination breathes life into your gaming set-up! The 1.7m anti-tangle, braided USB cable prevents your cable from tangling up in the heat of the moment: you will experience less drag in comparison to a regular cable. This in combination with the rubber top layer for enhanced grip will keep you gaming with high precision at all times.